The 24th Annual Communicator Award is a leading international awards program recognizing graphic design and multimedia projects for work representing the best in marketing and communications. 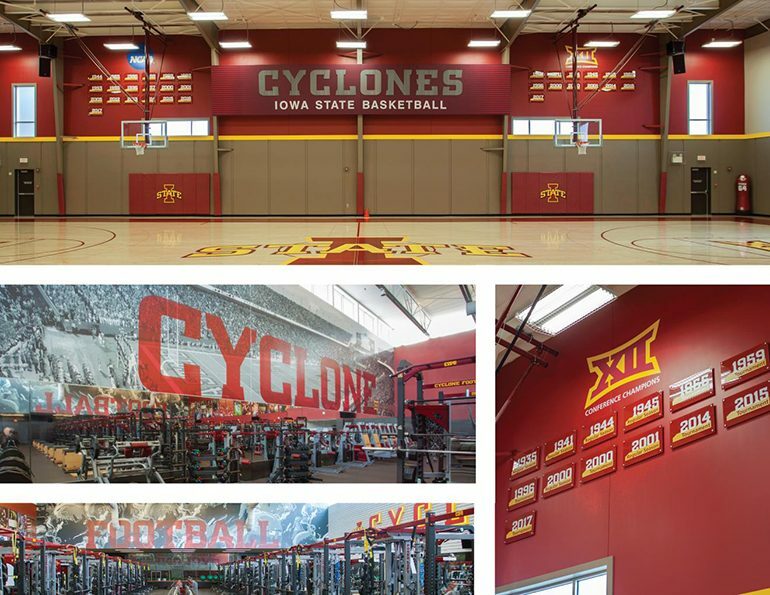 Congratulations to Iowa State University (ISU) Athletics for receiving the Award of Excellence for the experiential wall graphics and recognition wall located in Cyclone training facilities. RDG designers collaborated with the ISU Athletics Department to design murals, graphics, and other design elements to replace or revamp existing graphics at the Sukup Basketball Complex and in the Bergstrom Football Complex. We worked within a sophisticated visual identity system that ensures a consistent, quality image for Iowa State University and ISU Athletics. 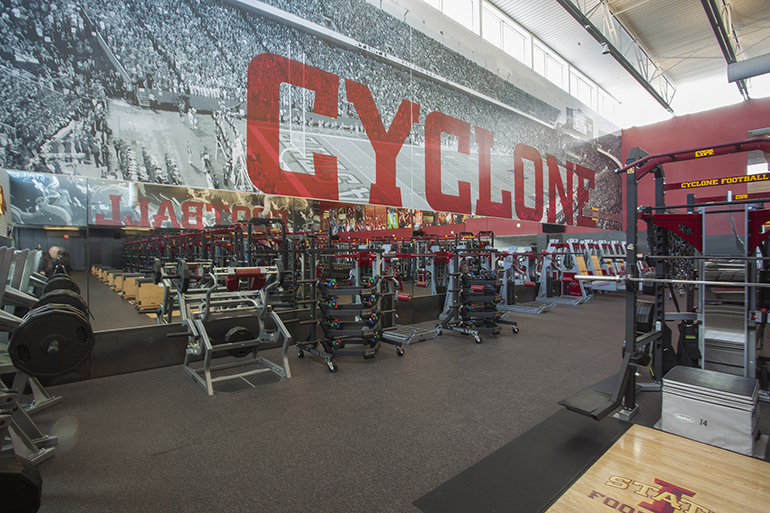 At the Bergstrom Football Facility graphics are designed for the weight room to resonate with the players – those on the field now and those that are yet to come. For this reason, football players used in one graphic are kept unidentifiable, except for the ISU uniforms. The other graphic motivates players with the excitement of playing in Jack Trice Stadium. Captured in oversized text across both graphics the words Cyclone Football – let every player know they are part of this team. In the Sukup Basketball Practice Facility, a similar message is conveyed. Here it is important that team pride be at the forefront of the momentum players and recruits experience. 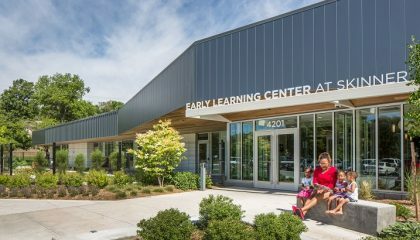 A challenge brought on by unique architecture, created the need for a custom build out. Placed in the center of the wall, sporting dimensional letters reading Cyclone Basketball, and flanked on both sides by newly designed signage. Replacing old banners with back painted acrylic pieces is a strategic decision to increase the harmony of color from sign to sign. 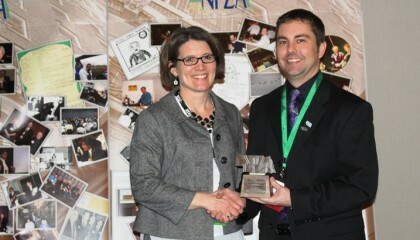 And, now that the information is organized with a cohesive design, the awards have better visibility and readability. 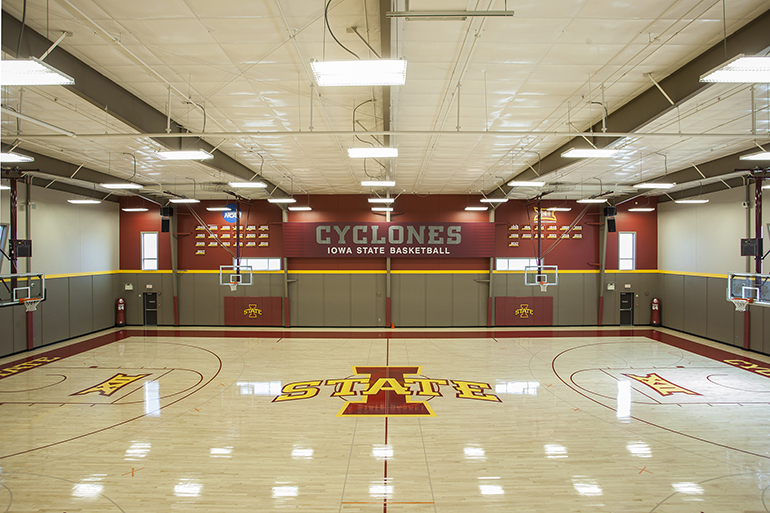 Produced with plans of growth to show future team accolades, the award installations at the Sukup Facility will be the message of Cyclone Basketball for years to come.